Fellowes Monitor Mount Copyholder - Welcome to TABS! Prevent neck strain from improper working positions. 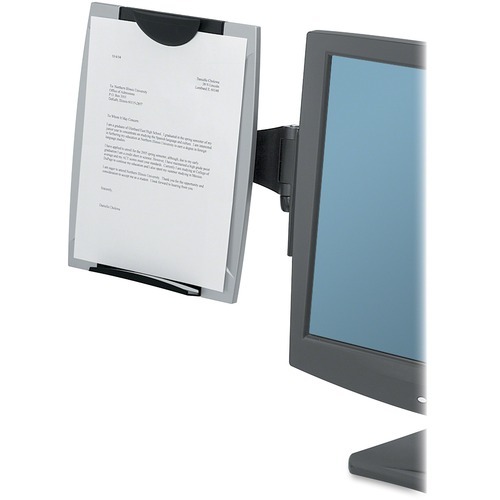 Our Monitor Mount Copyholder is the smart way to improve comfort and productivity. Prevent neck strain from improper working positions. Our Monitor Mount Copyholder is the smart way to improve comfort and productivity. Country of Origin: China Depth: 2"